Janam announced that it has partnered with Technology Recovery Group (TRG), a leading hardware solutions provider in the mobile computing and barcoding industry, to provide customers with the greatest return on their hardware investment. Together, Janam and TRG deliver highest quality rugged mobile computers, service and support to enable companies of all sizes to save money, reduce downtime and ultimately improve efficiency across their organization. Janam and TRG each have more than a decade of experience with providing clients industry-leading, affordable and reliable mobility solutions. This new partnership will ensure TRG customers have access to the most diverse selection of rugged mobile computers to meet their specific business requirements. Janam and TRG bring added value by providing the hardware and services organizations need to make their mobile deployment as painless as possible. 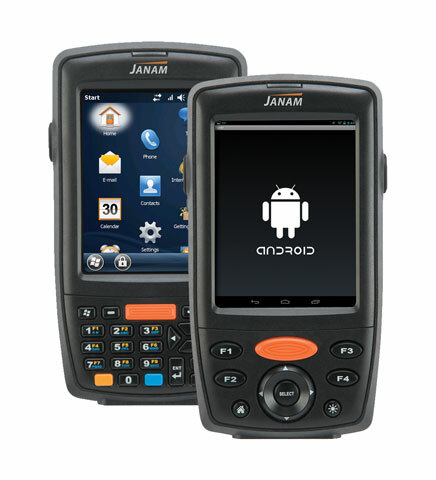 By eliminating the challenges often associated with deploying rugged mobile computers, Janam and TRG enable customers to remain focused on their core business objectives such as increasing customer satisfaction and gaining competitive advantage. Janam customers will benefit from TRG’s industry-leading services including comprehensive depot repairs, onsite service, deployment services, device staging and configuration, remote device management, 24×7 helpdesk support and mobile consultancy. With the ability to deploy thousands of Janam rugged mobile computers per month, TRG takes the burden off in-house IT staff and ensures deployments are timely, efficient and cost-effective. Your field workforce needs a mobile computer to access the people and information required to maximize efficiency and better serve your customers. You want to give them an enterprise-class handheld built for life out in the field, yet your workers expect a device that is every bit as refined and easy-to-use as their own consumer smartphone. Introducing the TC75x Series, the Android mobile computer that delivers it all. This includes a rugged design that delivers reliable everyday operation and instant push-to-talk communications with co-workers out in the field as well as supervisors, dispatch and more back in the office. The Dolphin 6510 Mobile Computer provides advanced data collection and real-time wireless communication for in-premise applications in retail, supply chain and light-manufacturing environments. It’s lightweight, too, with an ergonomic design featuring a tapered keypad that fits easily in anyone’s hand. Integrated 802.11 a/b/g/n wireless connectivity provides users with access to critical data throughout the enterprise, while Bluetooth connectivity facilitates efficient wireless connection to peripheral devices. Advanced security protocols enhance data security. Built to withstand harsh conditions, the IP54-rated Dolphin 6510 mobile computer can endure exposure to dust, dirt and splashing water, as well as accidental drops from distances as high as 1.2 meters (4 feet). The reliable Dolphin 6510 mobile computer even sustains up to 500 tumbles from 1 meter (3.3 feet). The Dolphin 6510 mobile computer offers an optimal blend of performance and reliability, delivering a rapid return on investment for mobile workers operating within the four walls. 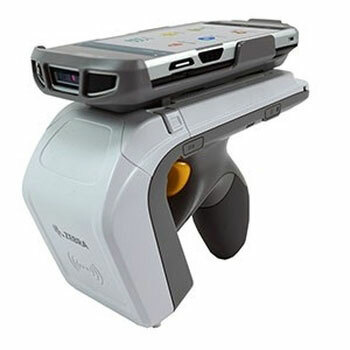 Leading enterprise mobility device provider Infinite Peripherals recently launched the Linea Pro 6, the first enterprise mobility device that is compatible with the recently released Apple iPhone 6. Given its extensive experience and deep relationships with Apple, IPC was the first company to mobilize iOS for enterprise, and keeps pace with the technology leader’s rapid development cycle. IPC currently has more than 400,000 iOS mobile devices deployed and products in 30 percent of the top 20 U.S. retailers. 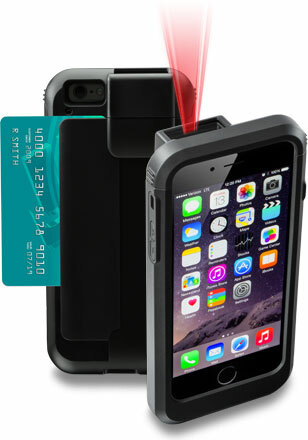 The Linea Pro 6 adds a 1D or 2D barcode scanner and magnetic stripe reader to the iPhone 6, and the handheld system is ideal for accelerating customer checkout from anywhere in a store, thereby improving conversion rates and opening up floor space for merchandise in areas that previously housed traditional cash wrap stations. Soon, the Linea Pro 6 will be available with options for RFID, NFC and Bluetooth. Bluetooth will allow connectivity to IPC’s portable receipt printers, such as the DPP-250, DPP-350 and DPP-450 mobile printers, for 2, 3 and 4-inch receipts, respectively. For added convenience, IPC offers several accessories for the Linea Pro 6, including protective cases, holsters and stands that can be customized with company colors and logos. Along with mPOS, the Linea Pro 6 can be used for inventory management, asset tracking, ID verification, lead tracking, inspection/work flow, dispatch, time/labor and lab and healthcare. IPC provides software development resources and tools so customers can program scanner and reader functions into their own application. The new Scepter is AML’s most capable mobile computer offering to date. Designed specifically for rugged environments, the Scepter boasts the largest display available on a pistol-grip handle device, sizing up at 5”. Powered by Android running on a Quad Core 1GHz processor, the Scepter has no shortage of power, performance or resources. The dual band 802.11abgn WLAN radio and BT BLE 4.0 radio provide wireless connectivity for inside-the-four-walls environments. A wide variety of barcode scan engines are available along with an optional 5MP camera. 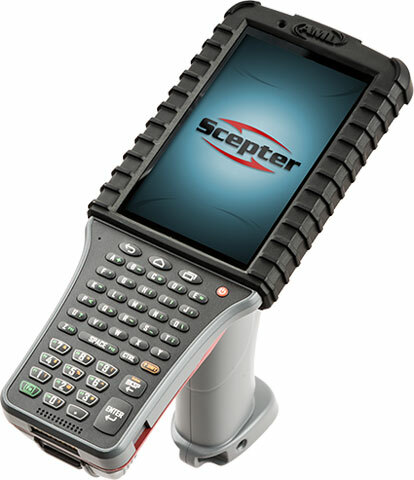 The Scepter brings together proven technology with contemporary innovation – an enterprise-grade mobile computer that will excel in virtually any task, delivering the performance and reliability demanded by today’s industrial user. 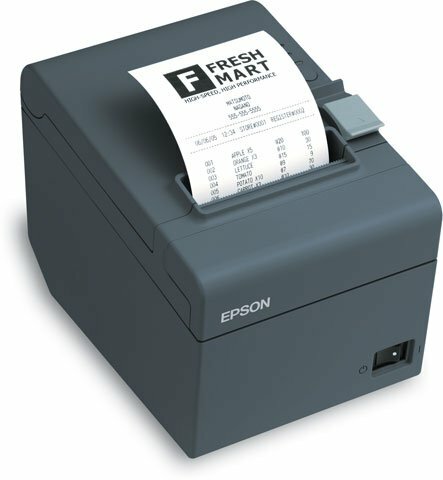 Epson has announced their new TM-T20II Ethernet Plus single station thermal receipt printer ideally suited for small to medium retail and hospitality businesses. It offers seamless connectivity for printing directly from tablets, mobile devices and web-based applications. It also enables customers to add wireless connectivity without having to replace their printers or interfaces. The new printer is available from Epson authorized channel partners in mid February. The TM-T20II Ethernet Plus incorporates Epson’s unique ePOS Print Service technology,which supports web-based printing from any mobile device. In addition to built-in Ethernet, it includes a USB host port as standard, which provides customers the ability to add wireless connectivity through the use of an Epson wireless adapter (OT-WL02). Mobile POS configurations enable switching from legacy PC POS to mobile POS systems with ease. With low total power consumption, reduced paper usage and options to add coupons to receipts, the TM-T20II Ethernet Plus is the ideal receipt printer for small-to-medium enterprises. Star’s mPOP is the first hybrid for tablet POS that combines a cash drawer and printer peripheral. With convenient Bluetooth and USB connectivity; this compact, stylish, yet fully integrated peripheral is an ideal solution for tablet and mobile device based POS system. Simply connect your preferred tablet or mobile device of choice and the mPOP transforms into a fully integrated POS system. mPOP/All-Receipts from Star Micronics on Vimeo. Which Mobile Operating System is Best for You? Selecting the best rugged mobile solution to support enterprise workflows and applications is anything but simple given the multitude of options available to organizations. With a myriad of choices available comes a certain degree of flexibility and opportunity to leverage corporate strengths while focusing on areas that need improvement/greater efficiency or to further differentiate. Along with the flexibility these options provide, comes the arduous task of evaluating mobility choices and properties associated with them: form factor, operating system, functionality, features, connectivity, security and a line of business (LOB) software solution to guide employees through productive execution of daily tasks. Organizations have clear, hard requirements of enterprise LOB mobility solutions: 3-5 year product life cycle, security, reliability, support, and a full complement of accessories. All organizations are keenly aware of what downtime means in terms of productivity and Total Cost of Ownership (TCO) associated with LOB solutions. This whitepaper will explore one critical piece of the enterprise mobility selection challenge: Operating Systems with implied development options for enterprise mobility devices. Ruggedized mobile computers have been driving mobility in the workplace for decades. The evolution of platforms embracing new and maturing technologies are creating new markets and opportunities for enhancing user experience, creating efficiencies and improving productivity in the workplace. One of the key factors for the success of mobility in the enterprise has been Microsoft’s embedded platforms providing security, stability and reliability. This whitepaper covers current Microsoft platforms as well as the paradigm shift we are experiencing with Android’s popularity. It will also discuss Datalogic’s mission to actively invest and research the best options and platforms to enhance and guarantee enterprise customers’ mobility success and profitability. By Microsoft definition, Windows Embedded platforms target specialized devices such as ruggedized mobile computers, ATMs, Kiosks and others. 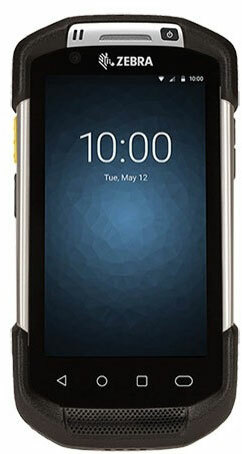 Windows Embedded CE kernel had been at the heart of Windows Embedded CE and Windows Embedded Handheld (Windows Mobile), both targeting specialized rugged handheld devices that are mission critical for line of business (LOB) applications. Windows, on the other hand, focuses on general purpose computing such as PCs, laptops and tablets and targets both enterprise and consumer environments. CipherLab’s new RS30 series touch mobile computer is a rugged smart device of which the touch-centric user interface is just like any other smartphone. Additionally, the ruggedness of the RS30 series safely protects its powerful features from harsh environments. Moreover, the RS30 series is capable of operating over a shift without worrying about insufficient battery life. Simply put, the RS30 is a full function touch mobile computer which is designed with the enterprise’ needs in mind.